By Murray EvansNine-year-old Lauren Hummingbird wants a cell phone for Christmas—and not just any old phone, but an iPhone. Such a request normally would be met with skepticism by her father, Cherokee Nation employee Jamie Hummingbird. He could dismiss the obvious reasons a kid might want an iPhone, except for this—he's a proud Cherokee and buying his daughter the phone just might help keep the tribe's language alive. Nearly two centuries after a blacksmith named Sequoyah converted Cherokee into its own unique written form, the tribe has worked with Apple to develop Cherokee language software for the iPhone, iPod and—soon—the iPad. Computers used by students—including Lauren—at the tribe's language immersion school already allow them to type using Cherokee characters. By Judith LavoieSome of British Columbia's ancient languages are getting an ultra-modern boost in the hopes that cool technology will appeal to young aboriginal people. New language apps for Apple's iPod, iPad and iPhone devices have been developed for two native languages in the province: Sencoten, spoken on southern Vancouver Island; and Halq'emeylem, spoken in the Fraser Valley. Six more communities are using archives of recorded words and phrases to build mobile audio dictionaries with funding help from the province. "Young people today are distracted by a lot of technology. They want to text, be on the web and play games," says Peter Brand, co-ordinator of FirstVoices, which helped develop the apps. "And so we knew that, if we had any hope of keeping the language in front of them, it had to be presented in these ways." Every 14 days a language dies. By 2100, more than half of the more than 7,000 languages spoken on Earth—many of them not yet recorded—may disappear, taking with them a wealth of knowledge about history, culture, the natural environment, and the human brain. National Geographic's Enduring Voices Project (conducted in collaboration with the Living Tongues Institute for Endangered Languages) strives to preserve endangered languages by identifying language hotspots—the places on our planet with the most unique, poorly understood, or threatened indigenous languages—and documenting the languages and cultures within them. Language defines a culture, through the people who speak it and what it allows speakers to say. Words that describe a particular cultural practice or idea may not translate precisely into another language. Many endangered languages have rich oral cultures with stories, songs, and histories passed on to younger generations, but no written forms. With the extinction of a language, an entire culture is lost. Much of what humans know about nature is encoded only in oral languages. Indigenous groups that have interacted closely with the natural world for thousands of years often have profound insights into local lands, plants, animals, and ecosystems—many still undocumented by science. Studying indigenous languages therefore benefits environmental understanding and conservation efforts. Studying various languages also increases our understanding of how humans communicate and store knowledge. Every time a language dies, we lose part of the picture of what our brains can do. By Sandra McLeanWhile researching the historical rights of his First Nation’s community of Listuguj in the Gespe’gewa’gig district of the Mi’gmaw on the southwest shore of the Gaspé peninsula for his doctoral thesis, York PhD candidate Alfred Metallic came to believe there was something missing in what he was doing--an integral piece of a larger picture. Not much had been written about that part of the Gaspé Peninsula and northern New Brunswick, the seventh district of the Mi’gmaw Grand Council, until Metallic turned his eye to it, but that didn’t explain the feeling he had. It wasn’t until after he had written his comprehensive exams and was back in his community that he realized what was missing was the Mi’gmaw language--its connection to the spirit of the people, their ways of life and the land--and the way stories are presented back to the people, his people. Metallic’s dissertation was his story, and he needed to tell it using the oral traditions of his people in the Mi’gmaw language of his community and district, to share the knowledge and learning he’d accumulated, but also to help preserve his native language, which is at risk of disappearing. “Our language, it’s how we maintain our relations and how we understand where we come from. It gives you access to your place in the world,” says Metallic. In the Mi’gmaw language, the action comes first, then the person. It’s the opposite with the English language.Below: "Alfred Metallic, centre, defending his dissertation." Lakota LLEAPs to the leading edge of second-language educationThe revival of the Lakota language opens a new chapter in 2011, as two institutions of higher learning in the Great Plains initiate undergraduate degree majors for teachers of Lakota as a second language--making Lakota the first Native American language to achieve this kind of professional recognition. 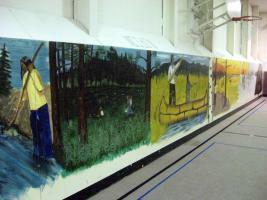 Beginning in January 2011, the University of South Dakota School of Education in Vermillion, S.D. and the Sitting Bull College Education Department, Standing Rock Sioux Tribe, in Fort Yates, N.D. will each offer a two-year Lakota Language Teaching and Learning curriculum, as a degree major for a Bachelor of Arts in Education at USD or Bachelor of Science in Education at SBC. By Steve YoungOfficials at the University of South Dakota in Vermillion and Sitting Bull College in Fort Yates see those possibilities, too. That's why they are developing bachelor's-degree programs to train teachers of Lakota as a second language. The two schools have been awarded a four-year, $2.4 million grant by the Department of Education to institute the programs beginning next year and, within the initial four years, to educate 30 new Lakota language teachers. The grant will pay for one instructor at each school--a Lakota linguistics expert for USD and, at Sitting Bull, an instructor specializing in second language methodology. The schools will be able to share the instructors, either through distance learning or possibly some travel, officials say. The grant also will allow 16 Native American students at USD and 14 at Sitting Bull College to receive $2,000 a month for two years to pay their tuition, fees and living expenses. In Language Whipped Out of Indians, Melvin Martin explains how boarding schools literally did just that. No wonder Indians have suffered such a terrible loss of language. By Donna Laurent Caruso“L8dwaw8gan wji Abaznodakaw8gan” (The Language of Basket Making) is a newly available book (November 2010, Bowman Books, New York) by Jesse Bruchac with Elie Joubert and Jeanne Brink that presents a unique way to continue the revitalization of the Abenaki language. Bruchac writes in the preface that this is “the first attempt at creating a ‘how-to’ manual within the Abenaki language.” Western Abenaki is translated into colloquial English in a series of steps with clear black and white photographs showing the process–and thus revealing the culture–of wood splint ash basket making in the Wabanaki culture. New curriculum helps to promote Ktunaxa languageThe Ktunaxa for Tots curriculum is a new Ktunaxa language program designed by Paqmi Nuqyuk Aboriginal Early Years employee, Chelsea Nicholas. The program developed by Nicholas, in collaboration with the Little Badger's Learning Centre, was designed to help children under the age of six connect with their culture and language. It is at this age when children have the greatest capacity to learn something that they can carry with them the rest of their lives.And:Nicholas, a Ktunaxa Nation Member, has already seen the benefits in a very short period, with many children having already graduated from the eight session program. The curriculum covers topics such as body parts, colours, animals, numbers, seasons and basic expressions. Each session also includes a craft or activity that enhances the learning by making it fun.Below: "Chelsea Nicholas, of Paqmi Nuqyuk Aboriginal Early Years, is holding a flash card, one of the many tools developed to support the Ktunaxa language." 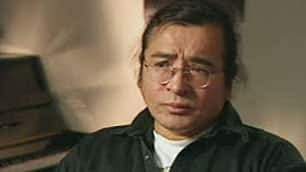 Tomson Highway releases plays in CreeAward-winning Canadian playwright Tomson Highway is releasing two of his most famous works in his first language—Cree. The Cree versions of the plays The Rez Sisters and Dry Lips Oughta Move to Kapuskasing were officially released at a launch party at the University of Ottawa Monday night. Highway, 58, said a publisher, Fitzhenry and Whiteside, approached him earlier this year and expressed its interest in releasing the plays—both of which have been performed in English since the 1980s—in Cree. Highway, who was born near Maria Lake, Man., said when he writes, the characters speak in Cree in his head but the words often come out in English or French. American Indian-language manuscripts guide available onlineA new guide to historical manuscripts in American Indian languages went online this week at Turning Points in Wisconsin History. It is the fruit of a yearlong partnership between the University of Wisconsin and the Society’s Library and Archives, which have worked successfully together for more than a century to collect, preserve and share Wisconsin history. By Robert Evatt Though the fifth-grade class at the Cherokee Nation Immersion School in Tahlequah use computers throughout the school day, their eyes light up when education services staff let them borrow iPhones. Within seconds they cluster around the gadgets, happily tapping out messages like countless other cell-phone users. But unlike most, their texts aren't in English--they're in Cherokee. By Sarah ReineckeSoon, the popular Berenstain Bears cartoon characters will help bring the Lakota language to life in homes across the region. Twenty episodes of the animated cartoon series will be translated, recorded and broadcast on South Dakota Public Television starting in the fall of next year, with all dialogue in Lakota. It's the first time in the United States that any cartoon series has been translated to a Native American language and widely distributed, said Wilhelm Meya, executive director of Lakota Language Consortium, a nonprofit organization that partnered with the Standing Rock Sioux Tribe to co-produce the Lakota version of the series. A DVD and teacher's guide also will be released next summer to be used in area schools. By Bill SheetsJones looked around the Kenny Moses Building on Tulalip Bay on Thursday and saw dozens of tribal children learning words and phrases in Lushootseed, the original language spoken by Salish tribes in the Puget Sound basin. The children were split into groups at an annual camp in which they learn the language and culture through songs, drawing, painting, weaving, an old printing press and even a Nintendo DSi. "I'm really proud of them doing that," Jones said. "It's just great." The camp is in its 15th year. About 200 children ages 5 through 12 sign up for the camp each year, said Natosha Gobin, a language teacher for the tribes.Comment: For more on the subject, see Lushootseed in Public Schools and Tulalip Language Camp. Below: "Stan Jones, a Tulalip tribal leader, recalls how kids were once punished for speaking Lushootseed. 'Soap in the mouth,' he said." By Thair ShaikhA British anthropologist is setting out on a year-long stay with a small community in Greenland in an ambitious attempt to document its dying language and traditions. Stephen Pax Leonard will live with the Inughuit in northwest Greenland, the world's most northernmost people, and record their conversations and storytelling traditions to try and preserve their language. The Inughuit, who speak Inuktun, a "pure" Inuit dialect, are under increasing political and climatic pressure to move south, says Leonard. "They have around 10 to 15 years left in their present location, then climate change and politics will force them to move south, and they will be assimilated into a different culture, into a broader community, and their way of life will be lost," Leonard said. By Pam HughesRepresentatives from seven tribes will convene on the Northern Cheyenne Reservation Aug. 12–15 for the first hand talkers’ conference held since 1930. The conference is an important part of a National Science Foundation funded project led by Dr. Jeffrey Davis of the University of Tennessee, Dr. Melanie McKay-Cody (Chickamauga Cherokee/Choctaw) of William Woods University and James Woodenlegs (Northern Cheyenne) to document hand talkers from Northern Cheyenne, Assiniboine, Sioux, Crow, and several other tribes. The mission is to preserve Indian Sign Language through the cooperation of sign language linguists with deaf and hearing members of the North American Indian signing communities through research, video recording and a dictionary.Comment: For more on the subject, see Indian Sign Language Endangered and Indian and American Sign Languages. By Christina Good VoiceThe Okmulgee and Tulsa Creek Indian Community language classes, under the guidance of Jackson Barnett and Thunder Road Theater, have created two plays that were performed entirely in the Muscogee language June 20. Okmulgee Creek language students Lillian Thomas, Pat Factor, Alfred Harley and Chalakee star in "Bocv, Hoktvlkogee," which is a comedy set in a Creek household when Grandma is away and Grandpa is in charge of making dinner for a visiting preacher. "I enjoy being in this class," Chalakee said. "They said you play this part and I said, 'ok, I'll try.' I think I'm ready. I enjoy the classes too"
The other play is performed by the Tulsa Creek Indian Community language class. "Nettv Momen Nere" is based on a traditional story written down by Jackson Barnett. This story explains how the animals met together to decide which should be longer, day or night. Based on Barnett's story, students in the Tulsa Creek Indian Community language class tried to imagine what the animals in this story might have said and done as they held their fateful meeting. Actors in the play are Jane Bardis, Margo Smith, Tallulah Smith and Adam Recvlohe. American Indians turn to recordings at American Philosophical Society. By Stephan SalisburyArchivists and librarians at the philosophical society are acutely aware of the precarious nature of native languages. The conference represented the culmination of a three-year effort to digitize the society's holdings--which have been accumulating for more than two centuries--and make them widely accessible over the Internet. At the same time, the society has sought to work with tribal communities to find ways they can take advantage of the material, formerly available only to a small world of on-site scholars. Michael Zimmerman, a Pokagon Potawatami linguist from Dowagiac in southwestern Michigan, said he found several hours of tapes in the society's archives recorded a generation ago in his own community. The material will help Zimmerman overcome local resistance to learning Potawatami from outside speakers. By Honey Dawn Karima PettigrewWhile emphasizing cultural studies and bilingual education in Native American languages, Young encountered Joe Erb, who taught him the techniques needed to create stop motion claymation movies. “I had the opportunity to work on ‘The Messenger’ to learn animation and I was lucky that Fort Gibson was so supportive in giving me the resources and freedom to learn,” he said. Young, whose passion for Native American languages led him to pursue the study of Creek, Cherokee and Choctaw at the University of Oklahoma, viewed claymation films as an opportunity to educate and inspire. As part of the bilingual education program at Fort Gibson, Young’s students created short films, using the stop motion technique. These films shared traditional Cherokee stories, were performed in Cherokee (with English subtitles) by the students, who ranged in age from middle to high school level.And:“I’m also working on a Pawnee language animation. I’m Pawnee/Kiowa/Delaware, and my Pawnee project is part one of a HAKO series that is called ‘Kits-pa-rux-ti: The Wonderful River.’” Young is eagerly anticipating the development of this series as a celebration of Pawnee culture. By Kevin RoachGrassroots Indigenous Multimedia announces the launch of their new Ojibwe language learning software, Ojibwemodaa. 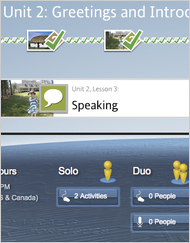 The software application uses video conversations and engaging games to immerse the user in the Ojibwe language. Mary Hermes, University of Minnesota professor with years of experience in education, and her husband Kevin Roach, an Ojibwe artist with expertise in tribal art and computer graphics, founded the nonprofit organization Grassroots Indigenous Multimedia (GIM) with the mission of developing materials designed to teach Ojibwe and other Native American languages. GIM began recording videos of conversations between elders at language camps and other venues. For Ojibwe and many other indigenous languages, it is the everyday, conversational language that is least documented but most useful words and phrases for beginning learners. It was their original intention to simply publish the translated and transcribed videos on a website or youtube. But in the process of applying for grants to support GIM’s work, Mary heard about Transparent Language from Ed McDermott at the U.S. Department of Education. He told them that Transparent had unique language tools and might be willing to let them use these tools to develop Ojibwe materials. Mary quickly contacted Michael Quinlan, CEO of Transparent Language, who offered his enthusiastic support, and a simple idea started growing into something big. Keyboard overlays help teach students the Cherokee language. By Clifton AdcockThe e-mail was composed entirely in Cherokee syllabary. Rachel and others at the Cherokee Nation Immersion School are the new keepers of their culture's fire, carrying into the information age the Cherokee language and its syllabary, created by Sequoyah nearly two centuries ago. Although the font was created through an agreement between the tribe and Apple Inc. a few years ago, the students have a new tool to help type the language: a keyboard overlay that replaces the letters of the English alphabet with those of the 85-character syllabary. By Paul WatsonThere is no word for seconds in the Mohawk language, which makes it especially difficult to call the action in an Olympic ski race live for television. Tiorahkwathe Gilbert was the first among his people to broadcast Olympic men's super-G in his native language Friday afternoon. A rookie to sports commentary, he has spent months training for the landmark moment. He's had long discussions with elders in coffee shops and at kitchen tables to agree on the best way to express things the Mohawk haven't had much cause to say before.And:For the first time in Canadian history, the Aboriginal Peoples Television Network is providing play-by-play commentary of live sports in Cree, Mohawk, Ojibway, Dene, Inuktitut, Michif and Oji-Cree. Most of the First Nations, Métis and Inuit broadcasters calling the Winter Olympics action for APTN are rookies recruited from communities across the country and trained by veteran sportscaster Jim Van Horne. Van Horne's dulcet voice is familiar to fans of hockey on TSN. He has also broadcast from the Calgary, Sydney and Beijing Olympics. During the Vancouver Games, he's working from APTN's Winnipeg studios, mentoring the aboriginal broadcasters he coached.Comment: As with singing pop songs in Inuktitut, this may be the best way to preserve Native languages. Namely, by using them in everyday life. By employing them in the popular culture. By linking them to fun, engaging subjects such as music and the Olympics. Popular music a way to preserve InuktitutA conference on northern languages in Iqaluit has ended with some participants urging territorial governments to use popular music as a way of promoting and preserving Inuktitut. The Nunavut Language Summit examined ways in which music—and not the traditional throat singing or other ancient forms of entertainment—can help younger Inuit connect with their culture. "Definitely, I think Inuktitut can be preserved through poetry, through songwriting, through every kind of writing there is," Juno award-winning performer Susan Aglukark, who sings in both English and Inuktitut, told CBC News.Nearby Greenland proves this approach can work:Canadian delegates have cast an eye towards their neighbours in Greenland where young Inuk dance in clubs to lyrics in Kalaallisut, the Greenlandic language. There are two major music labels on the island which boast music in the Greenlandic language from many genres: rock, hip hop and soul. Local performers such as Chilly Friday and Nanook are treated like celebrities. By Kyle Turner Davis said NAISL was an alternate sign system that was conventionalized and distinct from other forms of communication. It is separate from gesticulation that co-occurs with spoken language and was used for hunting, rituals and other practices observing silence. When asked if NAISL was created specifically for deaf people, Davis supported the possibility due to the historically higher percentage of hearing impaired among Native Americans. He said it has spread and evolved over time to become a complete language for others and not just the deaf. Unlike monastic or occupational sign systems, NAISL is much more complex, Davis said. Records indicate 12 language families and 40 spoken languages among the Native Americans but approximately only seven spoken languages in four linguistic families remain.Comment: For more on the subject, see Indian and American Sign Languages. By Eric A. TaubWith the growth of broadband connectivity and social networks, companies have introduced a wide range of Internet-based language learning products, both free and fee-based, that allow students to interact in real time with instructors in other countries, gain access to their lesson plans wherever they are in the world, and communicate with like-minded virtual pen pals who are also trying to remember if bambino means baby. To counter boredom, online language programs have introduced crossword puzzles, interactive videos and other games to reward users for making progress. Online courses are either fee-based, free or a combination. Starter kits of fee-based programs may cost just a few hundred dollars, but the cost to reach higher levels of comprehension and speaking can easily be $1,000. By Gary FifeThe award-winning Cherokee National Youth Choir announces the release of its latest music CD, “Learning as We Sing,” a project intended to both entertain and teach language skills. The new CD contains a variety of well-known traditional music intended for singing along, including patriotic American songs, Cherokee cultural songs, and even some Christmas songs. “We’re extremely excited about this new album,” said Mary Kay Henderson, CNYC’s director. Henderson said that the CD was designed to make learning Cherokee a little bit easier by using translations of familiar songs. Listeners can sing along with the choir and learn old favorites such as “The Star Spangled Banner,” “This Land is Your Land,” “Twinkle, Twinkle Little Star,” “Jingle Bells” and “Frosty the Snowman,” all in the Cherokee language.